In one of the largest studies of its kind, researchers used CRISPR technology to disrupt every gene in over 300 cancer models from 30 cancer types and discover thousands of key genes essential for cancer's survival. 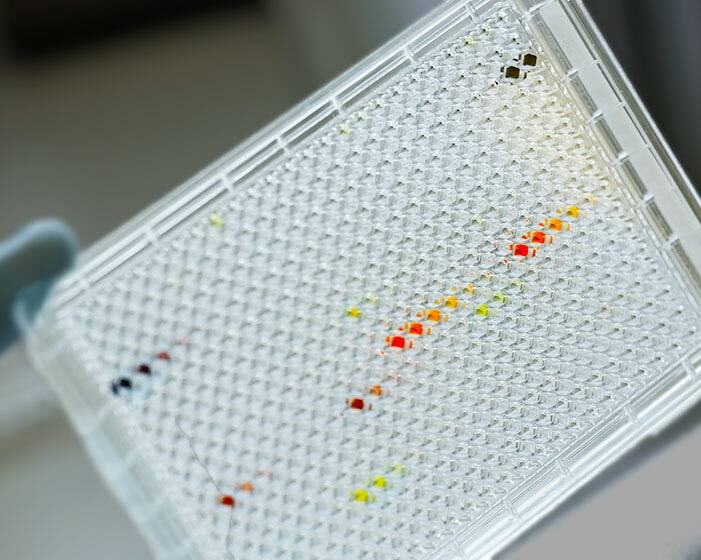 The team, from the UK's Wellcome Sanger Institute and Open Targets, then developed a new system to prioritise and rank 600 drug targets that show the most promise for development into treatments. The results, published this month in Nature, will accelerate the development of targeted cancer treatments and bring researchers one step closer to producing the Cancer Dependency Map – a detailed rulebook of precision cancer treatments, to help more patients receive effective therapies. One in two people will develop cancer at some point in their lives. Surgery, chemotherapy and radiotherapy are commonly used to treat cancer, but while these can be effective at killing the cancer cells, some patients don't respond to treatment and healthy tissue can be damaged, leading to unwanted toxic side effects. Scientists and pharmaceutical companies are exploring new targeted therapies that selectively kill cancer cells, leaving healthy tissue unharmed. Currently, producing new effective treatments is very difficult; it costs approximately $1-2 billion to develop a single drug, but around 90% fail during development. Therefore, selecting a good drug target at the beginning of the process can be seen as the most important part of drug discovery. Researchers at the Wellcome Sanger Institute and their collaborators performed one of the largest CRISPR screens of cancer genes to date, disrupting nearly 20,000 genes in over 300 cancer models from 30 cancer types to uncover which genes are critical for cancer survival. The team focused on common cancers, such as lung, colon and breast, and cancers of particular unmet clinical need, such as lung, ovarian and pancreatic, where new treatments are urgently needed. The scientists identified several thousand key cancer genes and developed a prioritisation system to narrow down the list to approximately 600 genes that showed the most promise for drug development. A top-scoring target gene, present in multiple different cancer types, was Werner syndrome RecQ helicase (WRN). The team found that cancer cells with a faulty DNA repair pathway, known as "microsatellite unstable cancers", require WRN for survival. Microsatellite instability occurs in many different cancer types including 15% of colon and 28% of stomach cancers. The new identification of WRN as a promising drug target offers an exciting opportunity to develop the first cancer treatments to target WRN. "CRISPR is an incredibly powerful tool that enables us to do science at a scale and with precision that we couldn't do five years ago," said Dr Kosuke Yusa, co-lead author previously from the Wellcome Sanger Institute, now based at the Institute of Frontier Life and Medical Sciences, Kyoto University. "With CRISPR, we have discovered a very exciting opportunity to develop new drugs targeting cancers." "To give a new drug the best chance of succeeding in the very final phases of clinical trials, it is crucial to select the best and most promising drug target at the beginning of the drug development process," said Dr Francesco Iorio, co-first author. "For the first time, in a data-driven way, we provide guidance at a genome scale on which new therapeutic targets should be put forward for the development of new anti-cancer drugs." "The Cancer Dependency Map is a huge effort to identify all the weaknesses that exist in different cancers so we can use this information to empower the next generation of precision cancer treatments," said Dr Mathew Garnett, co-lead author, also from the Wellcome Sanger Institute. "This tool will be freely available for scientists across the world to understand what makes a cancer a cancer, and how we might target different types much more effectively than we do today."